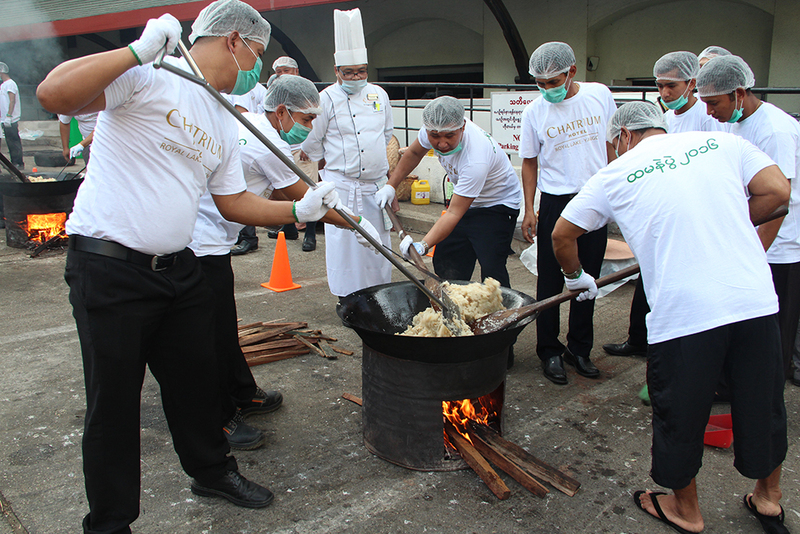 Chatrium Hotel Royal Lake Yangon recently organized a Traditional Htamane Festival Competition as part of a Hotel team building program. 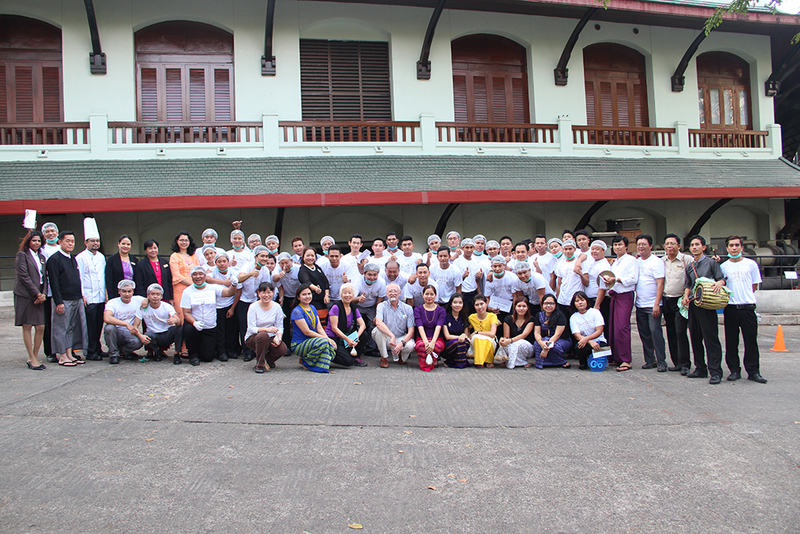 Apart from the hotel management and associates, hotel guests also joined. “Engagement and teamw ork” are some of the core values at Chatrium. This Htamane competition helped us strengthen our teamwork and increased staff engagement with customers. Guests who joined had a unique experience in learning more of the traditional festival and culture. 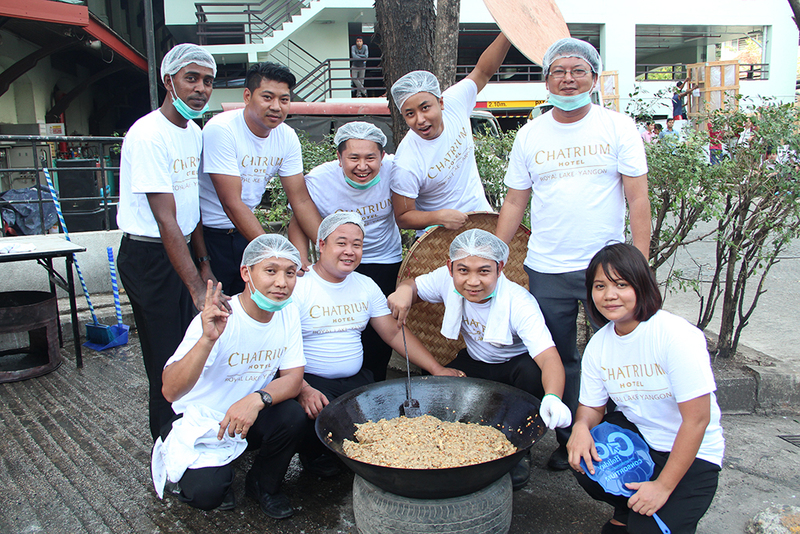 We believe this is a remarkable experience for our guests and our associates, Live the Remarkable at Chatrium”, said Ms. May Myat Mon Win, General Manager of Chatrium Hotel Royal Lake Yangon. 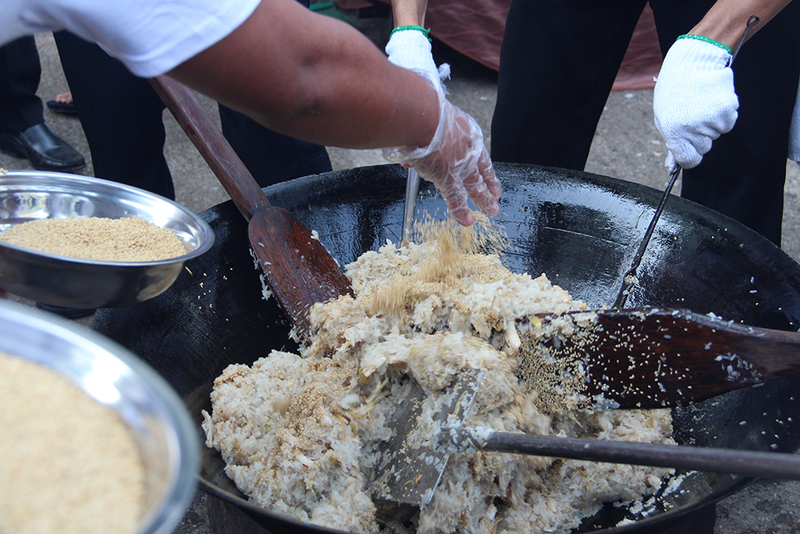 Htamane is a glutinous rice-based savory snack delicacy in Myanmar. There were four teams with 12 members from different departments participating in the Htamane competition. Hotel guests and hotel associates enjoyed the festival. Good Tasting Htamane, timing, hygiene and the teamwork of each team formed the final scores. Finally, Myanmar Pyi Thar team won the first prize; second, third and consolation prizes went to Pyo Toe Maung team, Mike Tee Lay Myar team and Shwe Gaung Pyaung team. About Htamane Festival: The Htamane Festival is one of the remarkable festivals in Myanmar; usually held in Tabodwe (eleventh month in Myanmar Calendar-February or March). It is also called the harvest festival and produce from farms and garden are used in making Htamane. It is made with a sticky rice, coconut slices, peanuts, sesame seeds and a small amount of cooking oil. It is very exciting to see an Htamane competition where participants compete for the best tasting product. After making Htamane, people usually offer it to Buddha and it is given away for free to all the visitors. About Chatrium Hotels and Residences: Chatrium Hotels & Residences is born from a passion to provide uncompromising, warm service and a truly captivating experience. Discover 5-star services with a charming personal touch at properties located with comfort, convenience and stunning surroundings in mind. From cosmopolitan city center living in Bangkok, to the relaxing beauty of Royal Lake in Yangon, whether on business or leisure, long stay or short; you are right where you want to be. The newly launched Maitria Hotel Sukhumvit 18 is under our new A Chatrium Collection hotel brand featuring trendy hotels in deluxe destinations that are tailored to the smart and independent traveler. Join us today and Live the Remarkable.